Your life depends on the hard work your vehicle does; and when your GMC needs service, you need the help of a mechanic you can trust. 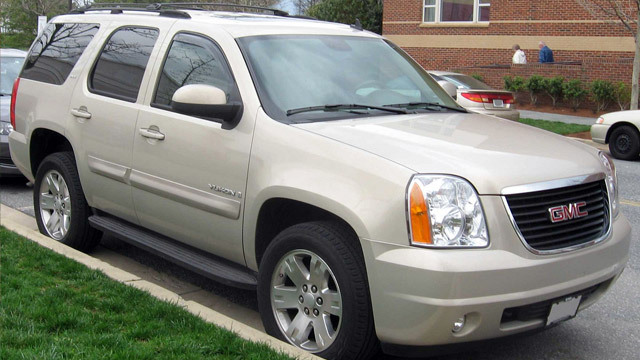 Whether your GMC is an SUV, a truck, a van, or a utility vehicle, Paul's Automotive in Baltimore, MD offers you the best GMC service and maintenance. Paul's Automotive - Baltimore’s certified technicians understand the value of a hardworking automobile. We offer thorough, quality service that gets your vehicle back to work as quickly as possible. Unlike some shops, Paul's Automotive - Baltimore don’t just focus on the mechanical aspects of service. From the moment you enter our auto repair facility in Baltimore, MD until you drive away satisfied, we offer top-notch care for customers as well as their vehicles. Our mechanics are happy to share their expertise by answering any of your questions, and we strive to offer a superior customer experience. Whether you need routine maintenance or major repairs, we stand ready to offer the best GMC care to you and your vehicle. Call Paul's Automotive - Baltimore today at (410) 324-7155 to speak with our knowledgeable staff or stop in at 6318 Falls Road Baltimore, MD 21209 so that we can schedule an appointment for your GMC vehicle.